Dr. Mark Taubman serves as the Charles A. Dewey Professor and Chairman of Medicine at the University of Rochester School of Medicine and Dentistry. He is certified by the American Board of Internal Medicine in both Internal Medicine and Cardiovascular Disease. Dr. Taubman is CEO of the Medical Center, Dean of the School of Medicine and Dentistry, and Senior Vice President for Health Sciences at the University of Rochester. He received his M.D. degree from New York University and completed his training in medicine and cardiology at the Brigham and Women's Hospital and Harvard Medical School. He has served on the faculties of Mt. Sinai School of Medicine in New York, Children's Hospital Medical Center and Harvard Medical School in Boston, Massachusetts. Dr. Taubman was previously the Charles E. Dewey Professor and Chairman of Medicine (2007-2010) and Chief of the Cardiology Division (2003-2009) at the University of Rochester. In addition he was Director of the Aab Cardiovascular Research Institute (2005-2007) and Director of the Center for Cellular and Molecular Cardiology (2003-2005). Dr. Taubman is a member of the American Heart Association, the American Society of Hypertension, the Association of University Cardiologists, and the Association of American Medical Colleges. He is a Fellow, American College of Cardiology and Fellow, American College of Physicians. He is the former Editor-in-Chief, Arteriosclerosis, Thrombosis, and Vascular Biology. Dr. Taubman is an international authority in vascular biology with research interests in tissue factor biology and chemokines. He has published widely – more than 120 articles, chapters, and books. Dr. Mark B. Taubman received his BA in Biochemistry from Columbia University and his M.D. from New York University School of Medicine. He subsequently completed a Residency in Internal Medicine and a Fellowship in Cardiovascular Diseases at the Brigham and Women's Hospital of Harvard Medical School. After 5 years on the faculty of the Brigham and Women's Hospital, he joined the Mount Sinai School of Medicine in New York, where he developed a well-funded research program in vascular biology, focusing on the regulation of pro-inflammatory and pro-thrombotic molecules in smooth muscle cells and in the arterial wall. In addition to his research program, Dr. Taubman was the Director of the Cardiology Fellowship, the Principal Investigator of an NIH training grant in Molecular Cardiology, and the Director of the Medical Scientist Training Program (MD-PhD). In 2003, Dr. Taubman moved to the University of Rochester as Chief of the Cardiology Division, and the Director of the Cardiovascular Research Institute. In 2007, Dr. Taubman was appointed Chairman of the Department of Medicine. Dr. Taubman has served as a charter member of the AICS study section of the NHLBI and the Chairman of the Research Committee of the National American Heart Association (AHA). In 2006, in recognition of his contributions to vascular biology, he received the Russell Ross Memorial Award of the Arteriosclerosis, Thrombosis, and Vascular Biology Council of the AHA. 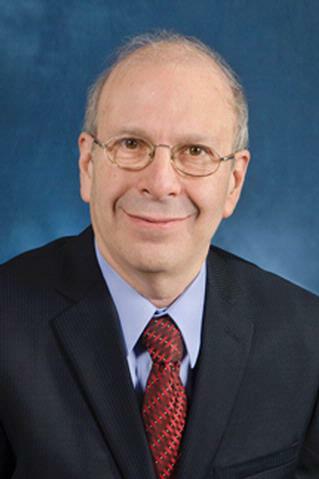 In 2007, Dr. Taubman was named Editor-in-Chief of the AHA journal, Arteriosclerosis, Thrombosis, and Vascular Biology. Spinelli SL, Casey AE, Pollock SJ, Gertz JM, McMillan DH, Narasipura SD, Mody NA, King MR, Maggirwar SB, Francis CW, Taubman MB, Blumberg N, Phipps RP. "Platelets and megakaryocytes contain functional nuclear factor-kappaB." Arteriosclerosis, thrombosis, and vascular biology.. 2010 Mar 0; 30(3):591-8. Epub 2009 Dec 30. Blumberg N, Spinelli SL, Francis CW, Taubman MB, Phipps RP. "The platelet as an immune cell-CD40 ligand and transfusion immunomodulation." Immunologic research.. 2009 Dec 0; 45(2-3):251-60. Epub 2009 Jan 29. Bernard JJ, Seweryniak KE, Koniski AD, Spinelli SL, Blumberg N, Francis CW, Taubman MB, Palis J, Phipps RP. "Foxp3 regulates megakaryopoiesis and platelet function." Arteriosclerosis, thrombosis, and vascular biology.. 2009 Nov 0; 29(11):1874-82. Epub 2009 Aug 06.